End of 62nd Entry: On arrival, the Natal Light Horse were issued with fresh horses and rode to the railhead to entrain for Cape Town on their way to join the troops operating in Germany West itself. Mick with a few waggons was at the station eagerly chatting to some of the troopers when a spare clean-shaven man accompanied by two Dutchman galloped in. “That’s Gill the Intelligence man,” remarked one of the troopers turning to gaze at him. “What does he do?” asked Mick feeling his pulses throb. “Scouts, guides, hangs about on the skirts of enemy forces. Damned exciting, but mighty risky life” answered the trooper. Mick gazed with awe on the Scout who was talking animatedly to Colonel Royston. Finishing his report the Scout accompanied by his two men walked over to a tent which served as a canteen. Mick following him in received a nod and summoning up courage asked the others to join him in a drink this proposal was promptly acquiesced in and the Intelligence man entered into conversation with the Rhodesian. To Mick’s amazement, he found the Scout another of his father’s numerous acquaintances, while excitedly he learnt that a large force of rebels was sweeping down on Draghoender. “You think then that there’s a chance about being attacked?” enquired Mick flushing with excitement. Swallowing another round of drinks the four left the tent to find the Natal Light Horse already detrained and in the saddle. As the Scout appeared Colonel Royston was in the act of moving off so with a wave to Mick, Gill vaulted into his saddle, his followers mounted more soberly and the three dashed off to the head of the column. Losing no time Mick got his waggons loaded and returned to the Transport Camp some three miles away. Here he found all in confusion and excitement. The news has already arrived but no troops were available except a few hastily collected farmers all of whom were almost certainly rebels. Viljoen with the Head Remount Conductor issued Mick and half a dozen others with rifles and ammunition bidding them ride to Draghoender, to place themselves at the disposal of the Transport Officer there. The Hangman was ordered to take a lightly loaded convoy after the Natal Light Horse. 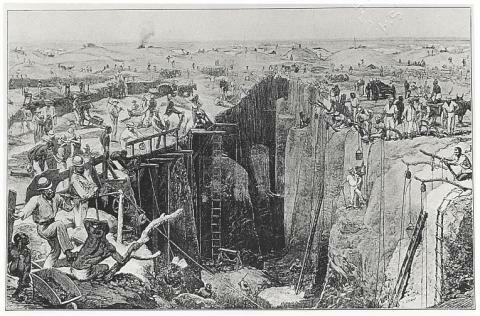 At Draghoender a couple of score of armed Boers were leisurely making sandbag Defences round two huge dumps of stores brought thus far by train to be transported to Upington, Kakames and other places by road. Mick though thirsting for an opportunity to see something of real warfare found little comfort in the appearance of his mates. Except for his few Transport Companions, the Defence Force looked hopeless as a fighting unit. The others agreed and an uncomfortable night past. With rifles loaded and cocked the Transport men watched their fellow defenders who in turn kept well in the shadows. Nothing happened however until late in the morning when Gill with his two attendants galloped in seeking reinforcements. It appeared that Kemp during the night had ridden into the Natal Light Horse who badly knocked up by hard riding was snatching a brief rest. The Rebels had galloped through the camp killing and wounding a few of the Natal men but losing several themselves. Royston was now hot on their tracks but freshmen were needed to intercept them on their right ride towards Upington. No men were available, however, and Gill after sending off various urgent telegrams once more took the direction from whence he had come. Next day the troops passed in thousands train after train went cautiously along the line which was being laid at the rate of three to four miles a day. The country presented few natural obstacles so sleepers were simply flung down the rails, bolted on, and the trains crawled along the new line. Where riverbeds or watercourses appeared the banks were cut out and the train ran down one side and if lucky climbed the opposite one. Artillery, infantry, mounted men and Commandoes of Boers went by the Prime Minister General Botha in command. Amongst the passing troops, Mick found scores of old friends and acquaintances, with whom he exchanged a few brief greeting and experiences as the trains halted or crept by. The same night the Transport Column by road for Upington, the Hangman had returned from his expedition with Royston full of enthusiasm for a soldier’s life. He and Mick though hardly bosom friends got on well together for the rough creature was unable to write his own name had attached himself like a dog to the young Rhodesian. He had been very repentant over the Prieska incident, humbling himself into the dust. Mick’s temperament was not one which made it possible for him to bear a grudge nor was Mick particularly sensitive regarding either the character or appearance of his friends. To Mick throughout his life, a man was to be judged purely by frontier standards. Given courage, endurance, ability to be a cheerful comrade, and to be moderately honest in dealing with his own mates there was no reason why one shouldn’t go partners with him, whether he was the Public Hangman or a Missionary. So Mick listened avidly to the Hangman’s Tales of the fight on the Newbury Estate, accepted a Natal Light Horse rifle one of the two the Hangman had picked up on the battlefield and made up his mind to join a fighting unit on the first opportunity. And old friend McLeod had been sent to join the convoy. Mick greeted Mac’s advent with joyous glee. The newcomer was a typical example of the British Adventurer having spent practically all his life in wondering about the world doing anything which came to his hand. 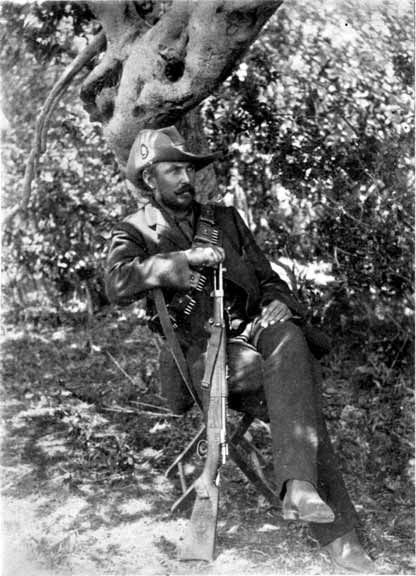 He had been a Secret Service Agent, a Trooper in the Cape Mounted Police, had fought through the Boer War in an Irregular Corps, had gone through the Zulu Rebellion and had received a war medal from the German Government for services in connection with the rounding up and capture of Hottentot rebels. The coming of McLeod, a man of gentle birth, classical education and great charm made a great difference to Mick for Mick was becoming a bit weary of his life and companions. End of 61st Entry: Mick emptied three chambers after him sending the dust spurting around the galloping horse. The Head Conductor leaping forward knocked Mick senseless and the affair was over. Next afternoon happened to be a slack one – the Conductors were sitting outside the Mess Room, some sipping whiskey, some tea. To their amazement, a real live Bishop of the Anglican Church strolled by looking hot, tired and forlorn. Viljoen always courteous went over to the prelate and invited him to join his group. The very Reverend gentleman thankfully accepted – it was 110°F/43°C in the shade, unsuitable weather for episcopal garments. The guest proved a man. It appeared that before taking Orders he had served as a trooper in a Hussar Regiment in the Regular Army. A son of his had recently fallen in France – he himself had spent many years in Zululand. The Conductors at first shy and awkward began to thaw as the bishop showed a deep understanding and interest in their work, their ideas regarding the war, and their thoughts on the future. Evening fell the Bishop accepted an invitation to dinner, sipped his whiskey and kept everyone anxious to show his best side. Dinner, a cheerful meal, came to an end. The Bishop pleaded for an opportunity of hearing the camp orchestra – the same coloured men who had accompanied Mick on the Port Nolloth voyage – the orchestra greatly flattered came and gave of their best. The setting was perfect – overhead a sky of the desert nights rich with stars, low hanging warm, mysterious – about them the vast, sparsely inhabited, treeless country running into the unknown Kalahari. Around the fires of dried sheep dung lay or sat the band of wild looking Conductors, the Bishop in the midst. 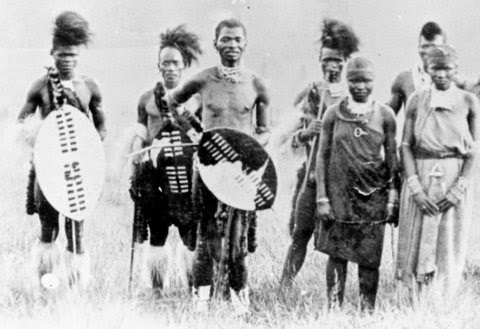 Further away the orchestra squatted, surrounded by a mass of light-hearted, music-loving coloured folk; with here and there the black face and stalwart body of a man of one of the warlike tribes, Xhosa, Zulu, Basuto, Swazi. Plantation melodies, Irish ballads, Dutch songs – all but forgotten ditties of the Boer War days – hymns beloved by children and Coloured people the world over. Then came God Save The King – a pause – and Viljoen the deep religious strain of the South African Dutch strong within him asked the Bishop to say a few words to offer up a prayer for the souls of a band of sinful men. A short direct address was given – a man knowing the frontier folk and frontier lives, to frontier men. A brief appeal to the Lord God, The Creator of the World to judge kindly those He had sent into the rough wild places. The Bishop shook hands all round – Mick who had been very quiet the evening and who had tried to drown a thousand emotions of homesickness, regrets, and memories fell down as he shook hands – enraged he clapped saddle on his horse and with a mate insisted on escorting the Bishop to his quarters. Early next morning Mick went to Confession. 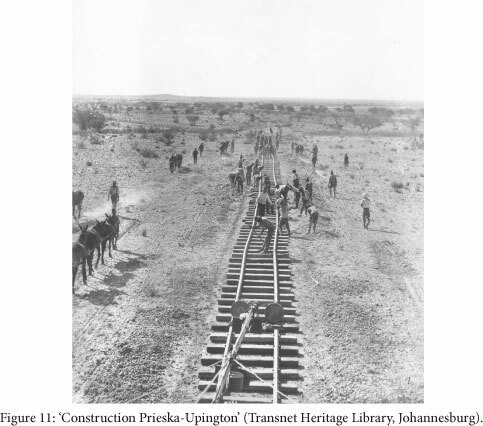 After a fortnight or so at Prieska orders came for the Transport and Remount Depot to be moved by road to Draghoender, the railhead of the railway line in course of construction to Upington. In pre-war days, Prieska had been the rail end from which the territories adjoining the Kalahari were served by donkey transport. 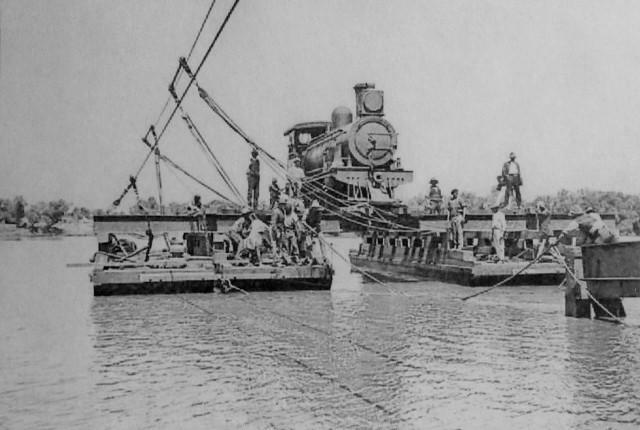 After the outbreak of war the railway had been continued towards Upington a hundred miles away. A town which served as a centre to a chain of irrigation settlements along the Orange River as well as the great Gordonia district, a land where sheep farms of a quarter of a million acres were not uncommon. For the first time since joining the Transport Service, Mick was now employed on the service for which he had been engaged. Each Conductor had charge of ten waggons drawn by mules, donkeys or oxen. Mick was with the mule column in command of twenty Coloured men, a hundred and sixty mules and ten heavy transport waggons each carrying a load of nine thousand pounds. The roads were knee deep in fine floury dust, the temperature in the sun averaged 160°F/71°C – water was scarce along the road, what there was of it being brackish as to be almost undrinkable whilst grazing was non-existent. A drought had lain for some years on the land whose appearance vividly recalled to Mick his life at Carnarvon. Most of the travelling was done at night the day being given to resting men and animals, greasing waggons or overhauling harness. 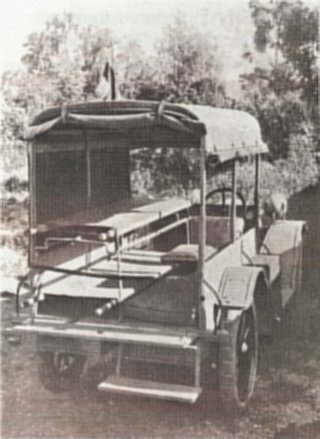 Four days were spent on the road all of which time was one of intense enjoyment to Mick as he galloped up and down his train of waggons, superintended the negotiation of stretches of heavy sand or badly worn patches of road. There was plenty to do, seeing that every animal pulled its weight, or was inspanned in the position which build and temperament suited it best, in keeping the waggons well up to one another, in getting through bad places, in having waggons kept greased, their bolts tight, the gear oiled and in order. Draghoender was reached at last and once more the routine of Prieska was resumed – not for long, however, for a few days after their arrival, a body of troops rode in from the Front. They turned out to be the Natal Light Horse who had spent months chasing rebels amongst the sand dunes of the Orange River. 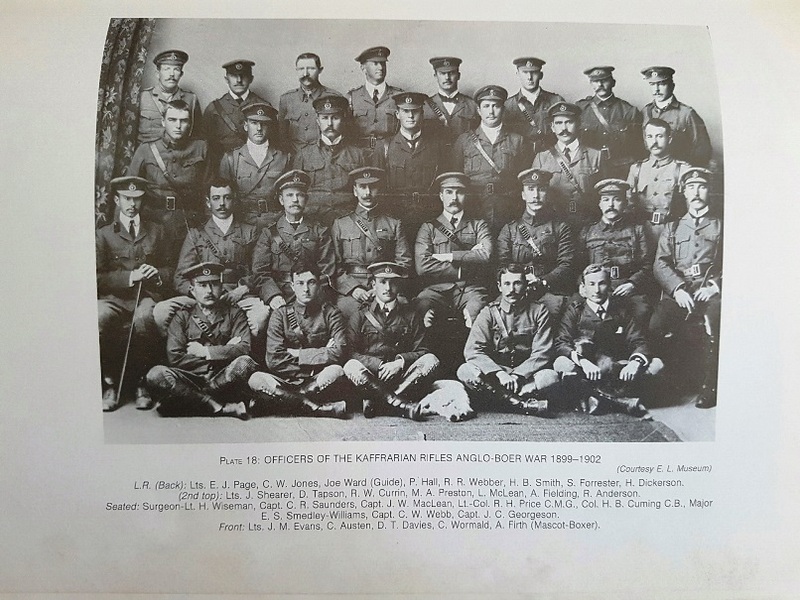 Since taking the field the regiment had been everlastingly on the move far from any stores – their clothing was in rags and taters, few had shaved for weeks and the once spick and span squadrons appeared more like bands of brigands than British soldiers. On arrival, the Natal Light Horse were issued with fresh horses and rode to the railhead to entrain for Cape Town on their way to join the troops operating in Germany West itself. Mick with a few waggons was at the station eagerly chatting to some of the troopers when a spare clean-shaven man accompanied by two Dutchman galloped in. End of 60th Entry: Swimming his horse around the mob Mick regained the shore, lit his pipe and chattered with his mates until the drove was ready to once again gallop back to its camp. Mick found no members of a Young Men’s Christian Association amongst his fellow conducters. The Head Conductor, Vijoen, a huge hard bitter man had been a secret service agent of the Old Transvaal Republic. The story had it that on the day Lord Roberts entered Johannesburg, Vijoen had shot two Australian officers whilst an Armistice was on. For this, he had been sentenced to death, to be later reprieved and banished from South Africa. He had gone to the Argentine which had eventually found him too desperate a character for even that tough country. Returning to Africa Viljoen joined Colonel Maritz then a transport conductor in the Germans Service. The Germans were at war with the Hottentots and the rough conditions suited Viljoen to the ground. Some trouble arose between him and Maritz which resulted in Viljoen being fastened to a waggon wheel and mercilessly flogged. 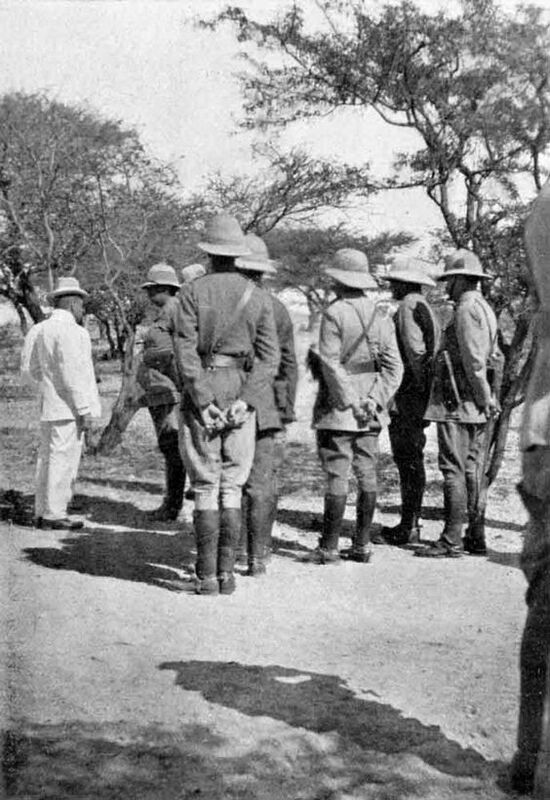 Forsaking the German Service Viljoen wandered into Bechuanaland where he traded and hunted until the Great War broke out. Another was an ex-attorney who had been struck off the Rolls for some reason and had led a shadowy life ever since. A third was a racecourse man whose life was regarded with suspicion, and a fourth, Mick’s billet mate was a cab driver who, the story went added the post of Assistant Hangman to his more prosaic occupation. By some means or other, the Transport men seemed to have an arrangement with a hotel proprietor by which whiskey was supplied free apparently without limit. Mick until then had rarely drunk except out of bravado but now he fell easily. He liked the company. Rough and wild though they were, unsavoury characters perhaps in civilian life they might be, yet all were old campaigners of the Boer and Frontier Wars and made good companions in the present type of life. They fed well, handled natives and animals with uncanny skill, shirked nothing in the way of danger or work and lived entirely for the day. Mick found he could drink glass for glass with the others, work unafraid with them amidst a chaotic mass of wild frightened animals, handle natives, mules or horses with the best. The young Rhodesian, therefore, dropped readily into the life. There were no troops actually in Prieska – the Transport men as yet ranked as civilians and Viljoen was apparently the Commander-in-Chief. Discipline was practically non-existent except as regarded the actual work in the Transport camp itself. In spite of very heavy drinking scarcely any untoward incidents occurred for the work taxed every fibre and muscle so that the alcohol was sweated out almost as soon as it entered the system. The heat was terrific, the work was not only heavy physical labour but work that needed all a mans’ wits to be ever on the alert to preserve his life. 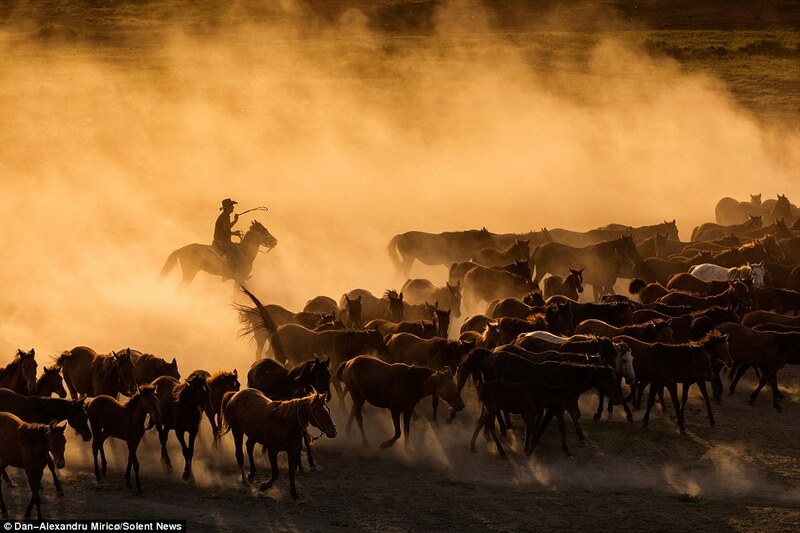 A drunken man would not have lasted five minutes working in the midst of a few hundred untamed mules or horses. Death or at best, broken bones would have been his portion immediately. Most probably the very act of concentration required to preserve mastery over an inflamed brain caused the alcohol to act purely as a stimulant. In any case, sober men would never have continued at the pressure demanded of Transport Conductors at that time. Nerves and muscle would have wilted under the strain but as it was the alcohol acted as paraffin cast at intervals on steadily burning fires. Mick had one or two narrow escapes from disaster. 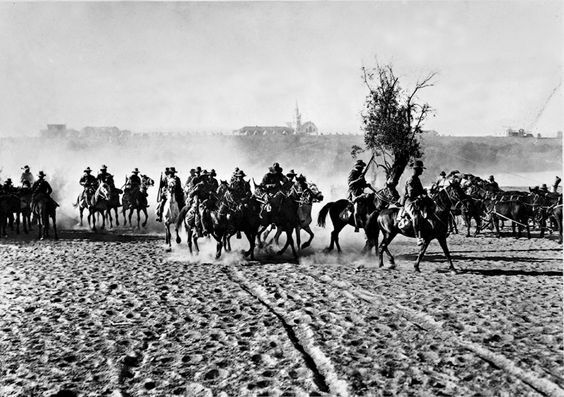 He and his mates were accustomed to race through Prieska as hard as their horses could gallop. Several children and civilians thereby escaped death by the fraction of an inch. One night shortly after Mick’s arrival, the daughter of the house had a visitor, a civilian policeman. The two retired into the sitting room and a good many hours past. Now the ex-cabby and supposed hangman was not a man whose moral character was above fear and reproach. He thought the girl easy game and made a suggestion that on the departure of the policeman he and Mick should, in turn, share the lady’s favours. Mick held rather high ideals but the life was having a wearing effect upon them. Although he felt repugnant he yet dallied with the idea, protesting as a matter of conscience, but not taking any decisive stand. During the early hours of the morning, the policeman departed and the hangman immediately slipped into the sitting room to be received with screams of fear and anger. Mick instantly ran in to find a weeping girl, the hangman in his shirt and the girl’s mother violently protesting. The hangman ordered the woman to clear out, cursed Mick and caught hold of the girl. Mick jumped in but received a blow which half stunned him. Instantly the Rhodesian ran into his bedroom, returned with a loaded revolver and the hangman seeing murder blazing in his comrade’s eyes loosened the girl and delayed not in his return to his bedroom. Mick followed him seething with rage to be met by a roar of laughter from the immoral one who produced a bottle of whiskey. The two speedily dismissed the past event from their minds and apparently were the best of friends. That evening there was some particularly hard-drinking which ended in the hangman becoming fighting drunk. He cursed Mick, insulted him and finally left with the avowed intention of riding the hell out of Mick’s horse – an animal Mick worshipped. Mick started after him protesting and threatening – turning the hangman sent the lash of his stockwhip hissing through the air, gave a quick turn of the wrist and the cruel hide cut the Rhodesian’s face to the bone – instantly Mick howling with rage and pain drew his revolver. The hangman leaping into the saddle dashed off. Mick emptied three chambers after him sending the dust spurting around the galloping horse. The Head Conductor leaping forward knocked Mick senseless and the affair was over.